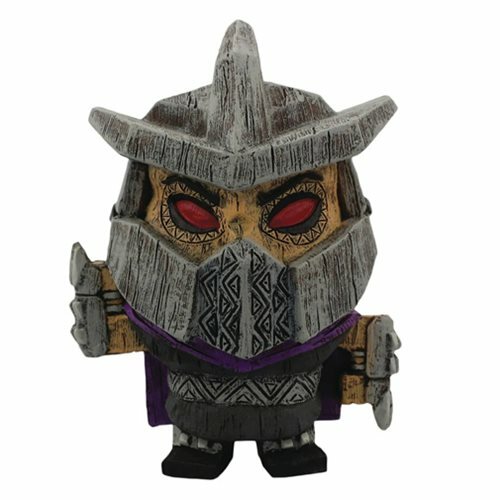 Add some Turtle Power to your collection with Teenage Mutant Ninja Turtles Eekeez figurines from Foco - like this adorable Teenage Mutant Ninja Turtles Shredder Eekeez Mini-Figure inspired by the villainous ninjutsu master in the TMNT franchise. Each exceptionally detailed polyresin figure stands 4-inches tall and comes in window packaging. Ages 13 and up. Be sure to collect all of Series 1, which includes Raphael, Leonardo, and Shredder (each sold separately).